Creamy, smooth and nutty spinach gravy. 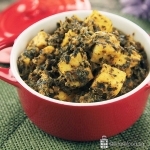 The Palak Paneer is one of the most popular north Indian dishes. This delicious recipe is shared by chef Andreia Machado, with a professional career working in Bulgari Hotel in Milan and the Gordon Ramsay Group in London. She also cooks and shares vegetarian recipes on dontask4salt.com. New beginner cooks would be happy that this dish is simple and easy to make. 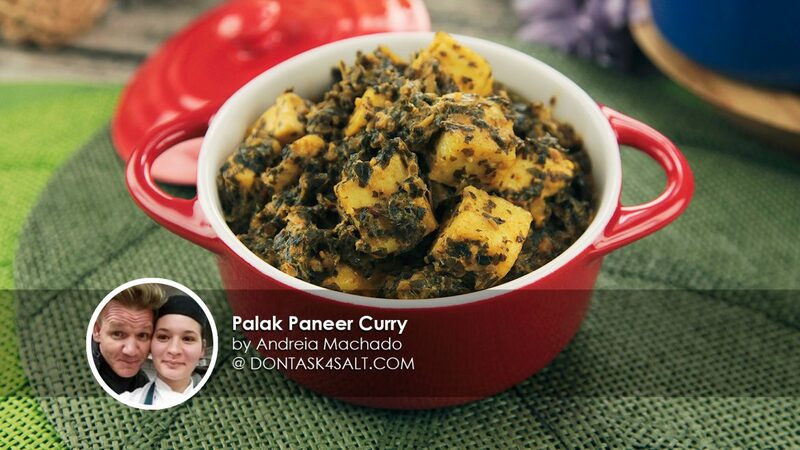 Chef Andreia Machado shares that Palak Paneer was her first homemade Indian curry and it turned out so perfect that it motivated her to cook more Indian recipes. 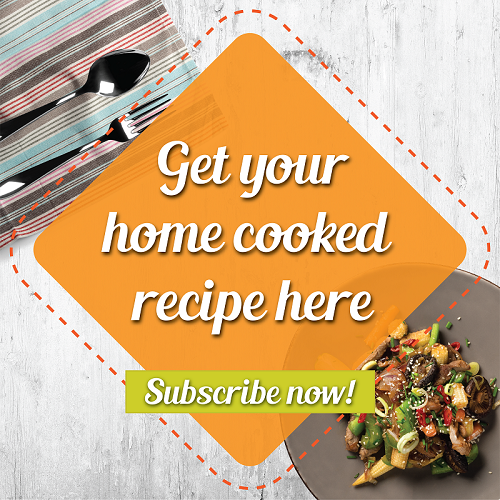 This recipe is one for the health-conscious food lovers too. Passionate about cooking and eating healthy, chef Andreia Machado had a love at first taste moment after trying Indian cuisine. She shares that she got tired of having Indian food outside as the food were usually less healthy. Hence she decided on experimenting Indian recipes at home. Here's a tip, for a flavourful gravy do keep the consistency of the gravy thick and add water only when necessary. 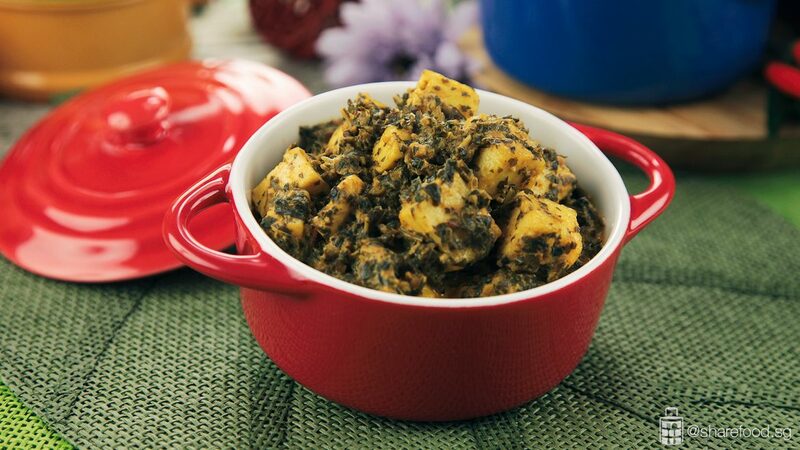 For vegans, simply replace the paneer with firm tofu and in regards to the cream, choose a dairy-free alternative or cashew cream. Try this recipe; you might have a love at first taste moment too. 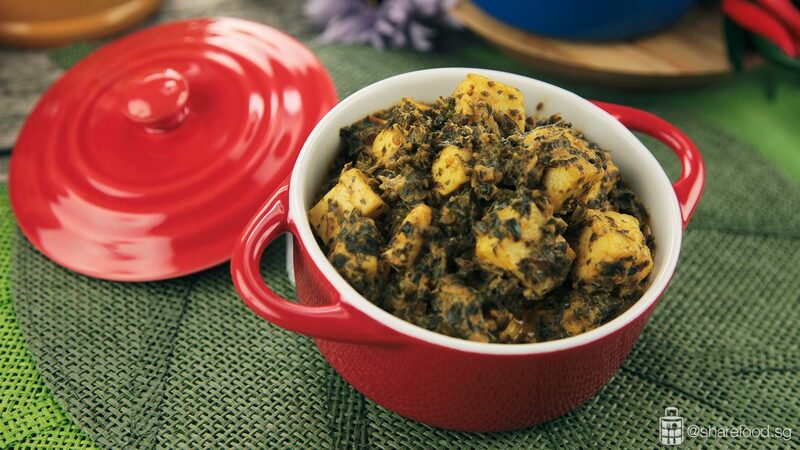 Serve this with naan, roti or rice and enjoy! Creamy, smooth and nutty spinach gravy. 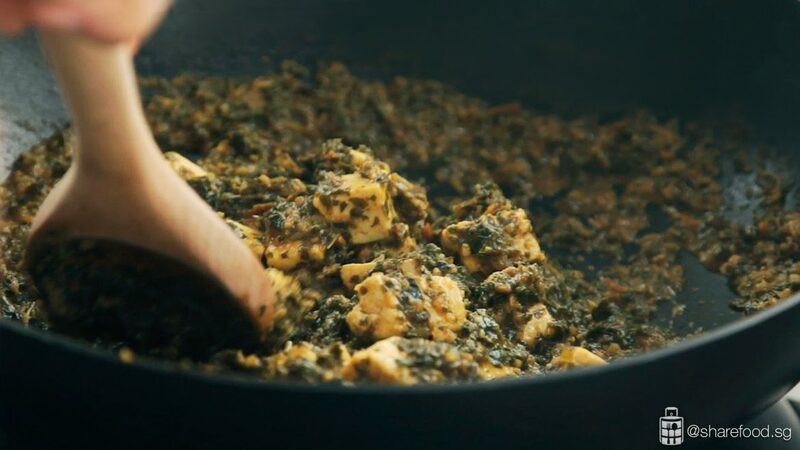 The Palak Paneer is one of the most popular north Indian dishes. This delicious recipe is shared by chef Andreia Machado, with a professional career working in Bulgari Hotel in Milan and the Gordon Ramsay Group in London. Use a saucepan. Bring water to a boil and blanch the spinach for 1 minute. Drain and cool it down in ice water. This will keep the bright green colour on the spinach. Heat up 2 tbsp of oil in a pan and when it is hot add the cumin seeds. Add the onion, garlic, ginger and chillies, cook on medium flame until onion gets golden brown. Place in chopped tomatoes and cook until they soften. Turn off the flame and set aside to cool. Blend the mixture together with the blanched spinach. Add water if required to get a thick and smooth paste. Heat up 2 tbsp of oil in a pan. When heated, add the turmeric, red chilli powder, cumin and coriander. Fry until spices release their aroma, add the spinach paste cook for 2 minutes on a medium-high flame. Add water and cook for 5 minutes more, taste and add salt. Add the paneer to the gravy. Mix well to coat the cheese and cook for 5 minutes. Garnish it with chilli flakes and serve with hot naan or roti.